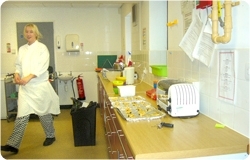 Cotgrave Futures is a purpose built community building which opened in September 2002. 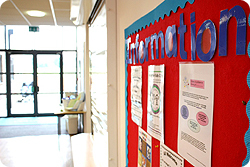 Conceived as an all inclusive facility, Cotgrave Futures has something for everyone. It is managed by a small group of committed local people to promote healthy living, educational and recreational needs and childcare provision within the local community. 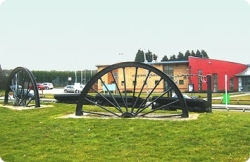 The plans for a new centre came forward when it was realised that the Youth Club building originally provided by Cotgrave Miners Welfare was coming to the end of its life and the existing voluntary child care provision was struggling to find suitable long-term accommodation.The Kids' Club operated for some time from a portacabin. It was against this backdrop that the idea arose for a project headed by Cotgrave Town Council. The Council had a significant reserve acquired from a land sale which was intended for a community project, and this formed a substantial contribution to an ambitious plan involving the replacement of the youth club and the creation of accommodation for a range of basic services for families and children. Other sponsors came on board including the Single Regeneration Budget, the New Opportunities Fund and the Coalfields Regeneration Trust. All progressed well until the final stages when the New Opportunities Fund, against all expectations, withdrew its support. This caused great consternation and we threw all our efforts into a rescue operation, managing to scale down the project and secure the help of the County Council with the shortfall. 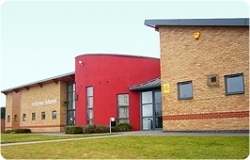 Cotgrave Futures eventually opened in September 2002.